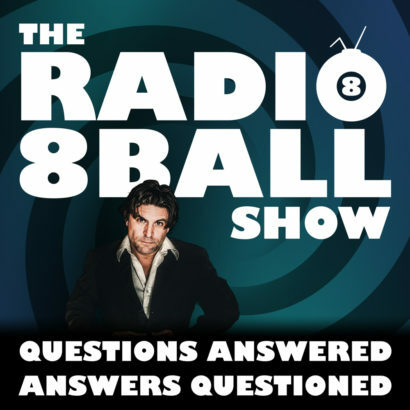 Radio8Ball is a daily podcast hosted by Andras Jones. A Pop Oracle that answers questions by picking songs at random, like musical tarot cards. Episodes feature a musical guest performing their songs as the synchronistically chosen answers to questions from our celebrity guests. What’s your question for The Pop Oracle? Andras Jones is an actor, author, and musician. His band was The Previous. He acted in “Nightmare on Elm Street: The Dream Master” and “Saved By The Bell”. He is the author “Accidental Initiations: In The Kabbalistic Tree of Olympia” for Sync Book Press.